Unique Venues Brings Together One-of-a-Kind Event Venues with Planners Who Are Ready for Something New. 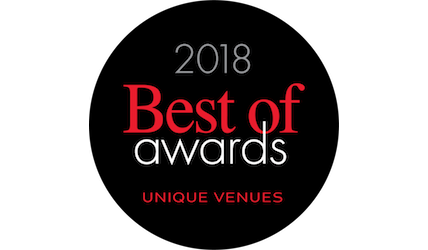 Whether you're a professional meeting planner or a volunteer planning a party, wedding, meeting, family reunion or event of any kind, Unique Venues can assist you in your event venue finding plans. Our event venue listings include the perfect conference centers, banquet halls, business meeting venues, and retreat centers. Search our vast database of event venues and meeting locations and in the United States and Canada, which includes colleges, universities, museums, mansions, theaters, conference centers, special event venues, cruise ships, restaurants, business centers, computer labs and more. You can also contact a venue specialist at 1-877-244-6110 to help you with your venue search and get matched to your ideal venue. As a premier event planning venues firm, we are opening doors to one-of-a-kind experiences. Finish your venue search today by contacting us today. Ambiance & atmosphere - no need to spend money creating a theme: it's already built right in. Memorable - that which is different is inherently more memorable. Flexible - one-day meetings, meetings, one-hour meetings, evening events/parties, and overnight conferences are welcome. Technology - frequently built for the venue's core business, available to you at lower costs than traditional hotels. Affordability - most venues maximize space during downtimes and their prices reflect that. 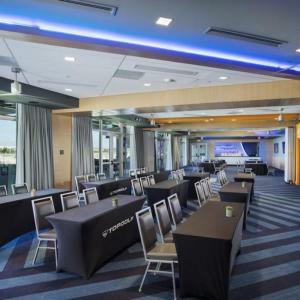 From arenas and stadiums to dining halls, historic venues, cruise ships, or conference centers, Unique Venues will connect you to accommodating business meeting venues that are within your reach. You belong here. Discover Canada meeting locations that perfectly fit your event needs. Check out the Ontario event venues, Toronto meeting venues, and Edmonton meeting space. Plan your next conference, meeting, party, or wedding by discovering venue locations in Alberta, BC, Toronto, Ottawa, and Montreal. 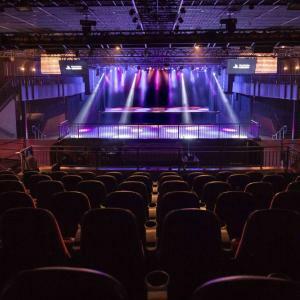 Know a venue that would benefit from services offered by Unique Venues?